It is no surprise that music is good for your health. Turn on your favorite selection and a rainy day seems to turn to sunshine. Neuroscientists explain the science behind the sensation, with studies showing that listening to music heightens positive emotion in the brain, stimulating hits of dopamine that cause good or even elated feelings. This makes perfect sense then, that we seek musical traditions to bring us this joy, year after year. What better way than a good musical show in paradise this holiday season to reduce stress? 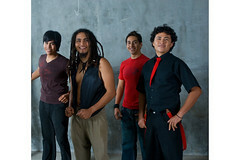 Beginning in 2002 Los Bambinos took to Puerto Vallarta’s streets for the first time. In just a couple of years they made a big impact on the Puerto Vallarta community with their musical talent, contagious smiles and brotherly love… In 2006 -by popular demand- the Morales brothers launched their first show at Olas Altas’ Santa Barbara Theater. For many of Puerto Vallarta’s holiday visitors and snowbirds, their Puerto Vallarta experience would not be complete without Los Bambinos music, and the happiness that the brothers bring through their music. 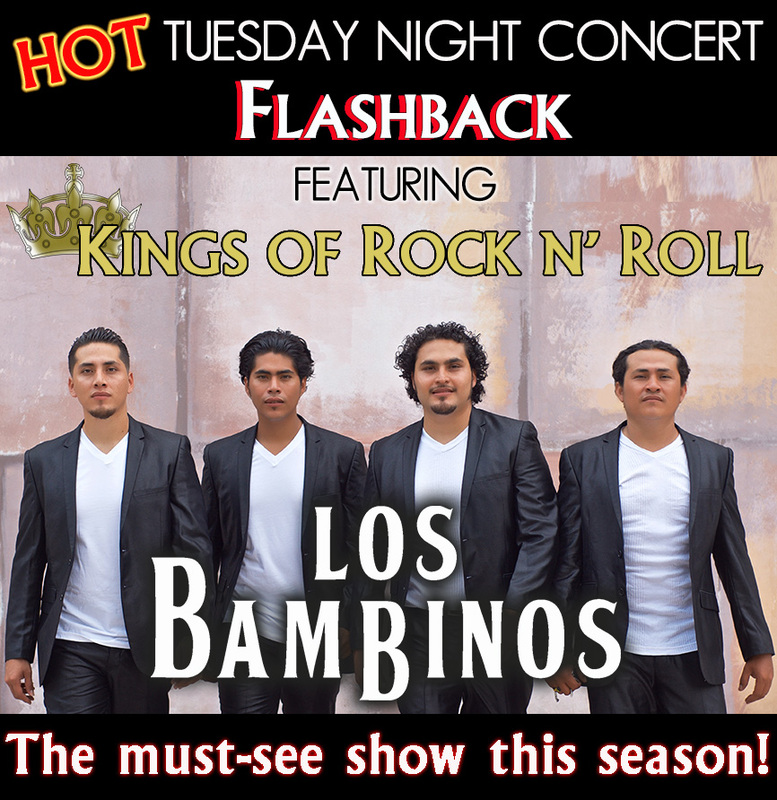 The Los Bambinos tradition has evolved during the last decade, through their weekly shows, private parties and tableside performances. Each week friends come out to support the brothers’ artistic expression, and leave the brother’s presence with big smiles on their faces and a renewed bounce in their step. No matter how you get your Los Bambinos music treatment this holiday season, make sure to plan for it! Whether you book your own private party or reserve VIP seats at the Tuesday show, you will be happy you did! Perhaps neuroscience offers the reason why Los Bambinos music has become such a tradition in Puerto Vallarta. Discover for yourself what so many are talking about. LOS BAMBINOS ADD A TOUCH OF HOLIDAY CHEER! Join us this Tuesday night for our NEW SHOW! Click for tickets. Join us for our new show! We are now performing at Roxy Rock House every Tuesday night 8-10 pm. Tickets available online through a link above under “Purchase Show Tickets Here.” Hope to see you there! Join us for our first show of the 2015-2016 Season!